Most of my clients are women’s wear. Although their garments are beautiful, they won’t work for me. I was thrilled to receive a package from my client Member’s Only on Monday containing a killer distressed faux-leather bomber jacket! A few months ago I shot a campaign on the mean streets of Brooklyn with model Tyler James from Q. The photos came out great great, but I thought I could improve on Tyler’s posing skills. 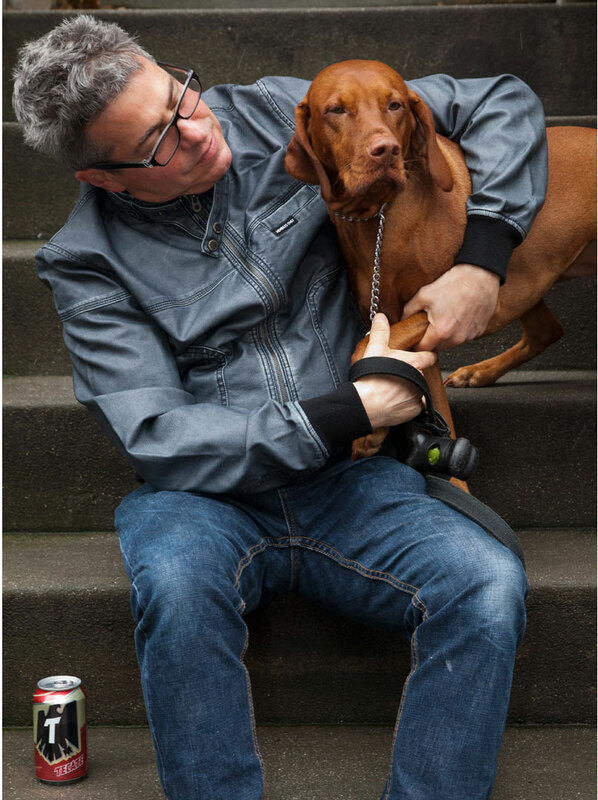 I grabbed my MO jacket, my dog, and a Tecate from the fridge, my camera and my son in order to recreate a photo from the campaign (my son snapped the photo). I think I better stick to photography and let Tyler do the modeling! I don’t think I have to specify who is the photographer and who is the model! Hoshi (the vizsla) is a keeper!